Pediatric dentistry is one of several officially recognized specialty areas in dentistry. As a specialty, it requires the completion of extra training beyond a dental degree. However, graduation from dental school requires the completion of a certain amount of training in pediatric dentistry including time in the pediatric dentistry clinic, and many general dentists feel quite comfortable treating children. This basic education equips dentists to deal with the majority of issues that come up in the process of providing dental care for children. So should you see the care of a specialist in pediatric dentistry? If your own dentist is uncomfortable treating children, or if your child has a rare condition that is beyond the training of a general dentist, I would recommend seeing a specialist. But if your dentist enjoys treating children and your child has normal, average dental needs, I don’t think it’s necessary. In my own practice, I very much enjoyed treating children and in twenty-some years only referred one child to a pediatric dentist. That patient was one who was so uncooperative that I recommended general anesthesia to treat him. The principles of treating baby teeth are very similar to the principles of treating adult teeth. There are some unique procedures that are done on baby teeth, such as pulpotomies or the placing of space maintainers, but those procedures are taught in dental school and I believe can be easily mastered by general dentists. The biggest difference between treating children and adults is behavior management, and that is the main reason many general dentists opt out of treating children. For me, I loved the challenge of trying to understand each child and figuring out how to get their cooperation. But many dentists simply don’t want to do that. How should you prepare your child for a dental appointment? 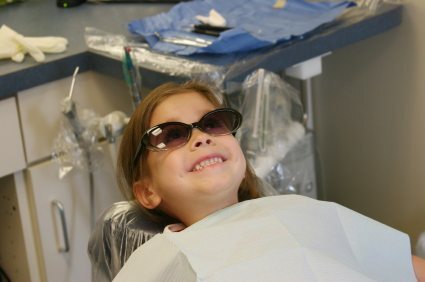 Read Dr. Hall’s blog posts about children’s dentistry.